This month, fellow Blogging Business Artisans team member Janet of Bird in the Hand Art challenged us to create anything summer-related, love-related, or “Grease” (the movie) related. My response was to create a mini pocket album made of envelopes called “The Love We Share.” I previously created an album like this for the January challenge, but not with a theme. 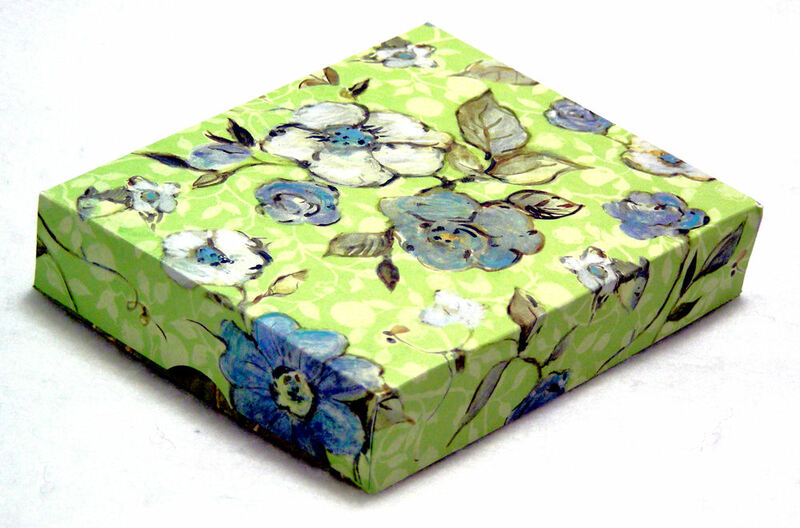 I chose Country Boutique papers designed by Jodie Sanford for Fancy Pants Designs because I love the delicate interplay of brown, blue, cream and yellow colors in this line. Two of the papers, Loved and Wallpaper, form the front and back covers of my book. 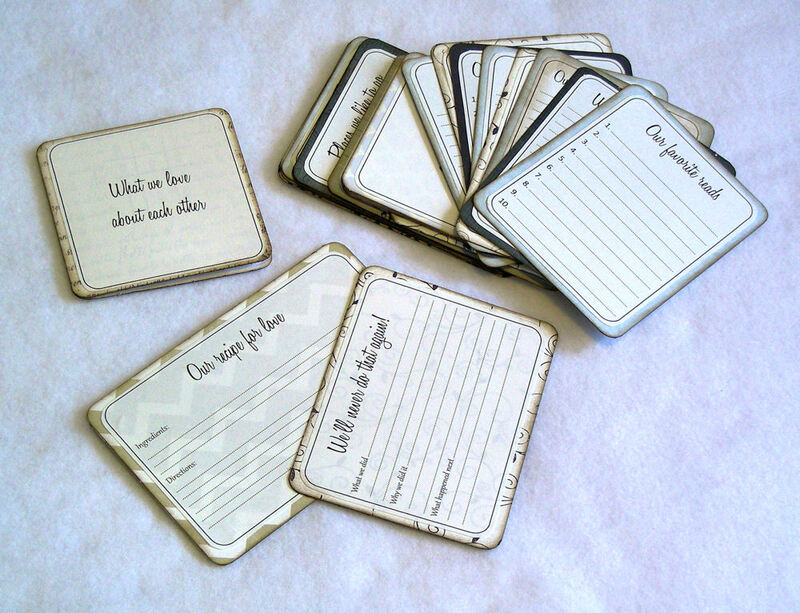 I decided to add journal tags with writing prompts to the album, which was a lot of fun. 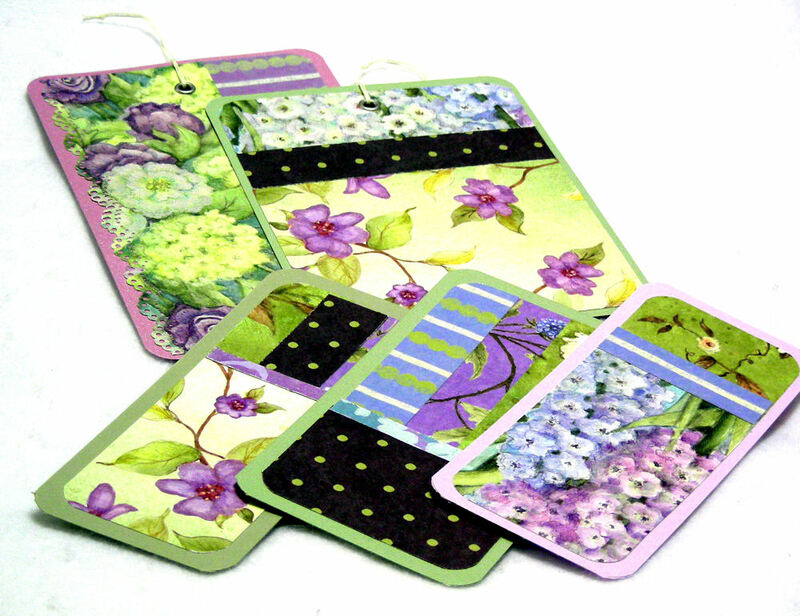 I made so many tags, in fact, that I will probably have to make a second album so they can find a home! As I assembled the pages of the album, all of which include a pocket for a journal tag, photo or some kind of memorabilia, I kept track of the supplies that went into this project. To my surprise, I learned that one of the biggest costs was the adhesive. I used a full roll of tape runner (40 feet) just for the journal tags. One of my goals will be to reduce costs without sacrificing the quality as I make more of these for Mister PenQuin on Etsy. You can find the completed album in my shop. I think that this type of album could work with different themes. 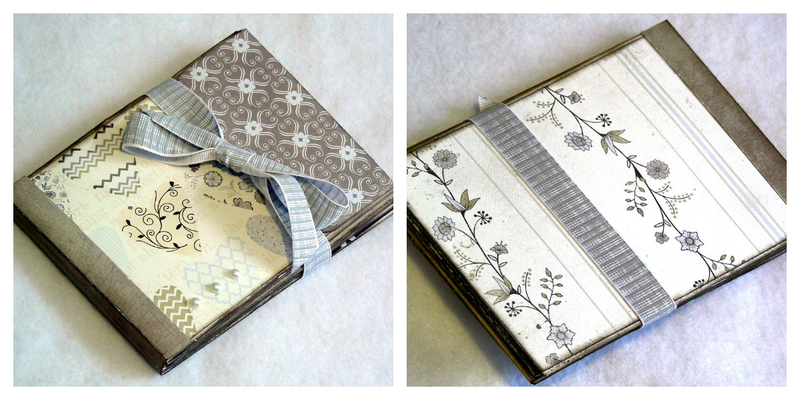 The album shown above would work well as an engagement, wedding or anniversary gift. I can imagine a very colorful one for a child, a friendship book for a student, or a family holiday album. 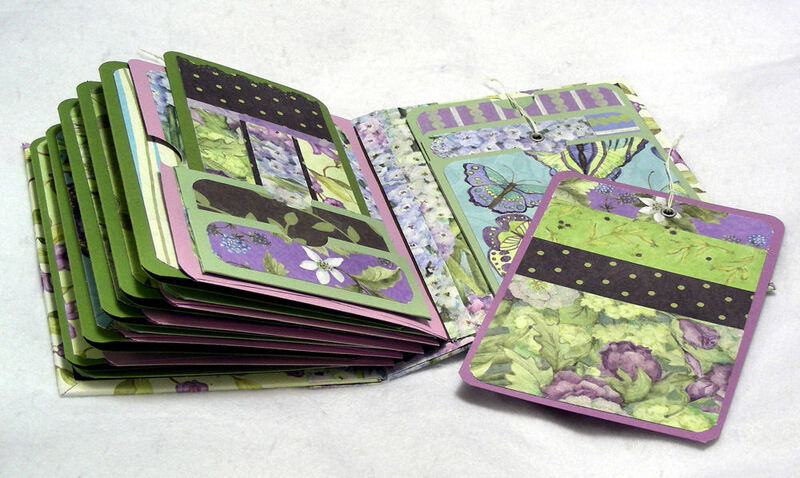 Thanks, Janet, for coming up with this month’s Blogging Business Artisans challenge! In February we celebrate Valentine’s Day. My challenge to you: Create a love-themed item. 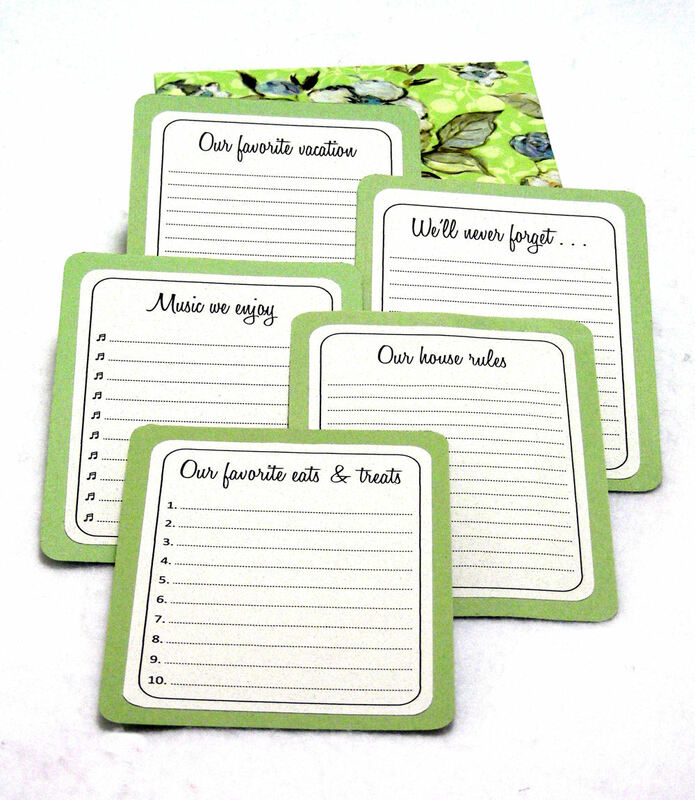 You can write a creative love letter, make a valentine, make a love-themed home decor item, etc. Be Creative and Have Fun! 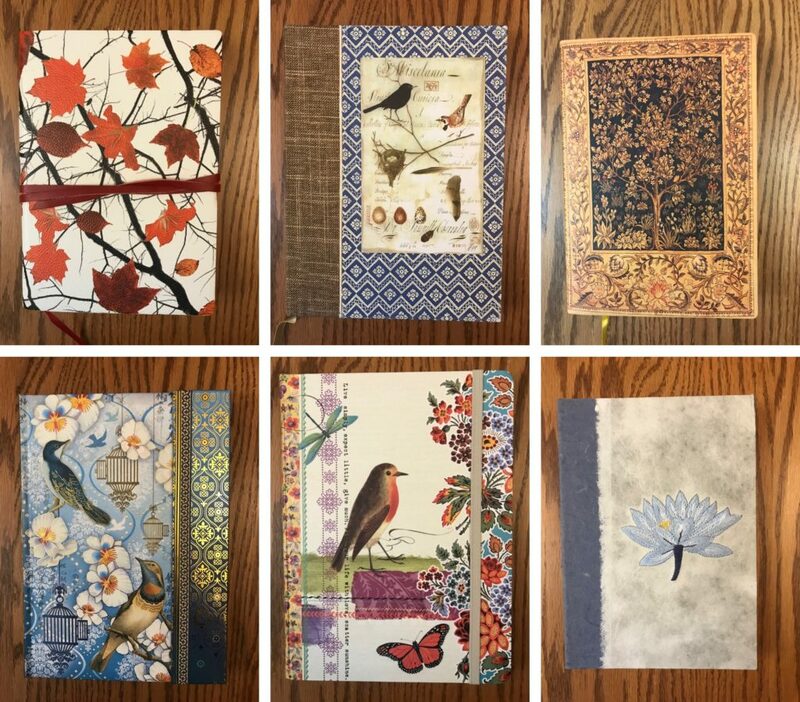 The way in which I chose to implement this challenge was to craft my first-ever hardcover book, a photo journal whose pages consist of modified envelopes, covered with designer card stock cut and folded to form pockets. 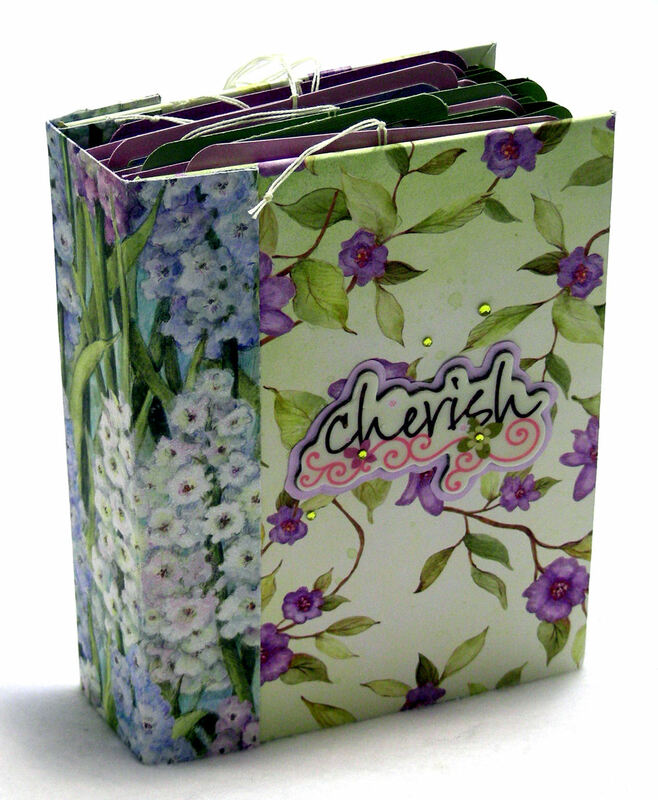 The theme for this journal, which is a gift for a family member, is “Cherish,” which suggests the relationship between a couple. My German-born mother (now deceased) used to tell us as we were growing up, “People are for cherishing, not for teasing,” so I’m reminded of her with this single word on the cover of the journal. I learned the techniques for making a hardcover book, creating pocket pages and binding them by watching several YouTube videos, among them the Envelope Mini Album Series (click on the link for the first video) by Kathy Orta of Paper Phenomenon, Stack the Deck Mini Albums by Laura of The Paper Trail, and Robyn’s Scrapbook Mini Album Binding Technique by Robyn of Injoy Stampin’. I blended these techniques, made some mistakes along the way, and adjusted. The most fun part of the project was making the photo-matted cards. 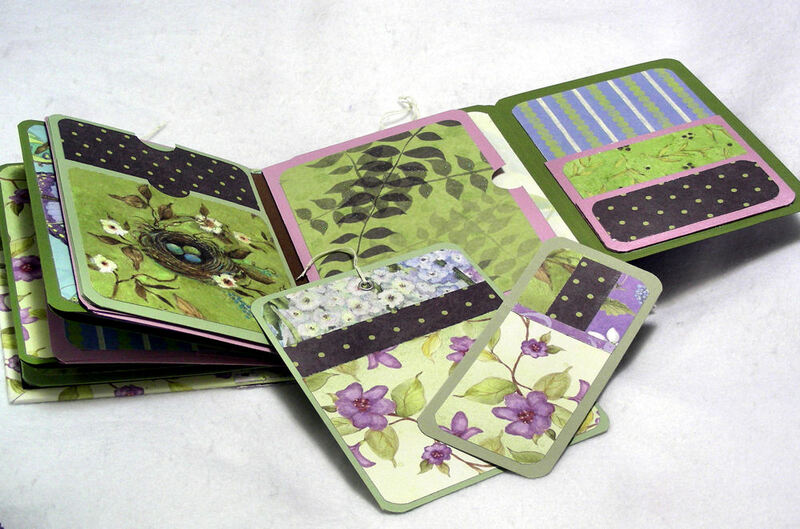 I adhered various patterned paper shapes, collage-style, onto textured card stock, forming a patchwork of colors and patterns. Each photo-matted card was unique, as well as a surprise, since I simply moved the pieces around until they pleased me. Another part of the photo journal project that I thoroughly enjoyed was designing journaling tags with different topics, such as Favorite eats & treats, How we met, Words we live by, Our house rules, Our recipe for love, Our favorite vacation and We’ll never do that again! 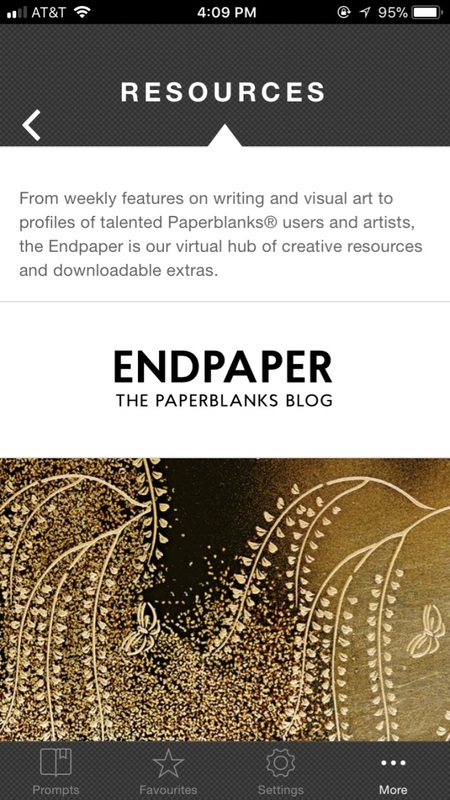 Once upon a time I ran a home-based desktop publishing business, developing all of the forms, brochures, newsletters and other designs using Corel® WordPerfect® software. 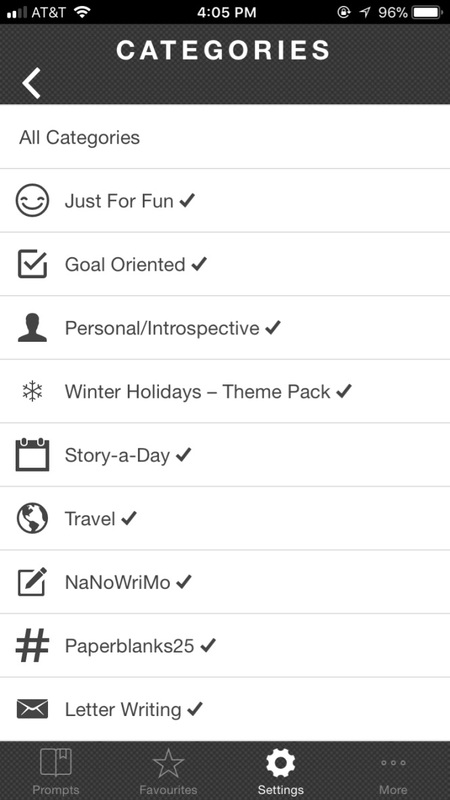 I used the same software to design the journaling tags. You could use Microsoft® Office Word software just as easily; I simply prefer the former program. There were 24 journaling tags by the time I was done, not all of which will fit in the journal. 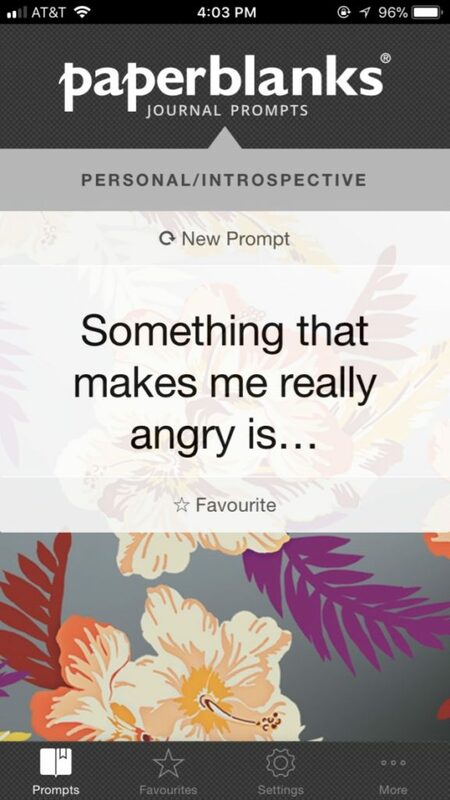 However, I figure that if some of the topics don’t strike a chord with the recipient, others will do the trick . . . or they can simply be used in another journal. I inserted some of the journaling tags in the book itself, and put the remainder in a gift box I made from patterned card stock. For each half of the box, I decided how big I wanted the box to be and added 2 inches to that, cut a rectangle with those dimensions, and scored each side of the shape at the one-inch mark. I folded along the score lines and cut corner flaps, and glued into place. If you don’t have a scoreboard, you can accomplish the same very easily by following this tutorial by Nancy Fallon of The Life and Times of One Loopy Knitter in How to Make a Card Stock Gift Box. The book was supposed to have six envelopes for its foundation pages, but I made the mistake of not leaving enough space between the last page and the back cover, and it tore off. The lesson I learned was to create a wider spine. 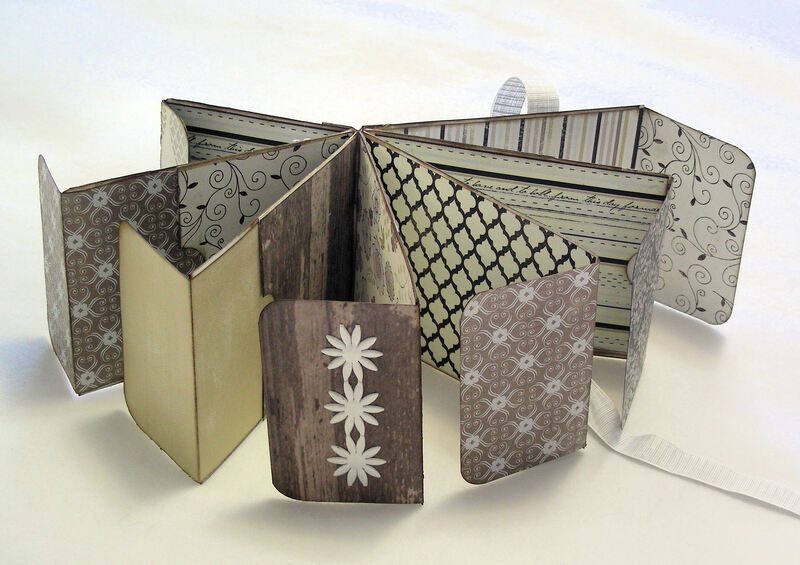 Also, the video tutorial called for library-style pockets on both sides of one page. I really think this makes the page too heavy, and would not do this in the next book. This extra weight probably contributed to the last page tearing off. I salvaged the pockets and adhered them to the front and back inside cover. You can see one of these pockets on the left side in the next photo. You’ll notice, in the above photo, that the far right pocket (actually, a double pocket) is kind of bulky. The video tutorial suggested you use a smaller envelope to form this pocket. On another page, I decided to use card stock instead. Take a look at the difference below. You can see the “salvaged” library-style pocket on the back inside cover. In my next book, particularly because there are so many tags, I will add a few more pages, keeping in mind that the spine needs to be wider. I would be interested to see if this book would be less bulky using card stock instead of envelopes, too. 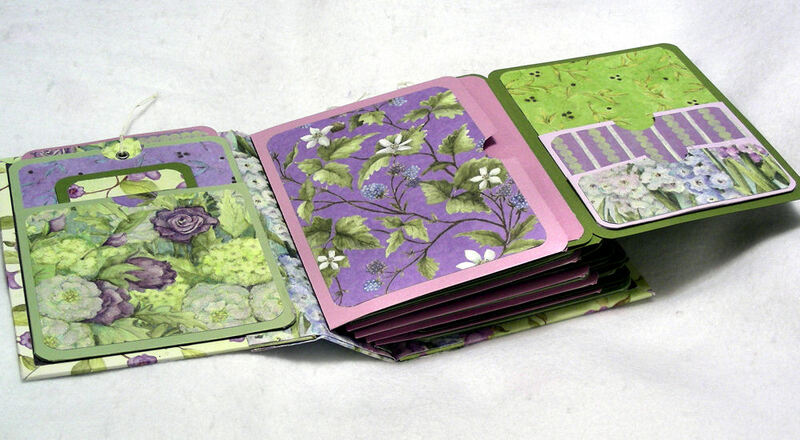 I learned a great deal from this challenge, and look forward to making my next hardcover book.